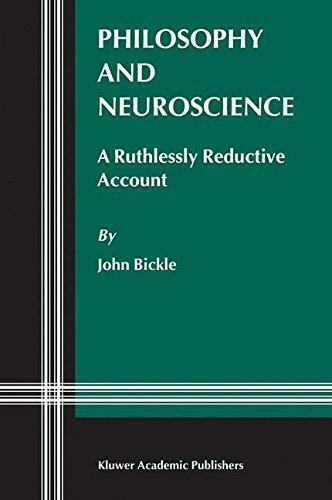 Philosophy and Neuroscience: A Ruthlessly Reductive Account is the first book-length treatment of philosophical issues and implications in current cellular and molecular neuroscience. 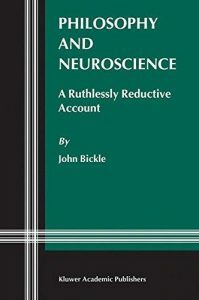 John Bickle articulates a philosophical justification for investigating “lower level” neuroscientific research and describes a set of experimental details that have recently yielded the reduction of memory consolidation to the molecular mechanisms of long-term potentiation (LTP). These empirical details suggest answers to recent philosophical disputes over the nature and possibility of psycho-neural scientific reduction, including the multiple realization challenge, mental causation, and relations across explanatory levels. Bickle concludes by examining recent work in cellular neuroscience pertaining to features of conscious experience, including the cellular basis of working memory, the effects of explicit selective attention on single-cell activity in visual cortex, and sensory experiences induced by cortical microstimulation. The International Diagnostic Course in Davos (IDKD) offers a unique learning experience for imaging specialists in training as well as for experienced radi­ ologists and clinicians wishing to be updated on the current state of the art and the latest developments in the fields of imaging and image-guided interventions. This annual course is focused on organ systems and diseases rather than on modalities. This year’s program deals with neuroradiology and radiology of the spine. During the course, the topics are discussed in group seminars and in ple­ nary sessions with lectures by world-renowned experts and teachers. While the seminars present state-of-the-art summaries, the lectures are oriented towards fu­ ture developments. These proceedings represent a condensed version of the contents presented un­ der the 20 topics dealing with imaging and interventional therapies in the neuro­ radiology and radiology of the spine. The topics encompass all the relevant imag­ ing modalities including conventional x-rays, computed tomography, nuclear medicine, ultrasound and magnetic resonance angiography, as well as image-guid­ ed interventional techniques. The volume is designed to be an “aide-memoire” for the course participants so that they can fully concentrate on the lectures and participate in the discussions without the need of taking notes. Additional information is found on the web page of the IDKD (httpll:www.idkd.ch). There is now evidence that irreversible brain damage accumulates very early in the course of multiple sclerosis. 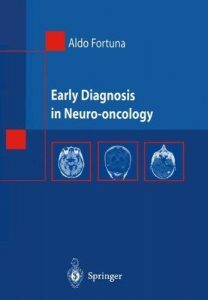 This book reviews the main neurobiological, magnetic resonance imaging, and clinical aspects of the early phases of the dis­ ease. Mechanisms ofirreversible axonal damage and the role played by the inter­ action of glia and the axon are highlighted. In contrast to what was believed for a long time, the sufficient availability of oligodendrocyte precursor cells to promote remyelination in acute lesions has now been demonstrated. For reasons not understood, this remyelination process fails or does not start, particularly in the chronic stages ofthe disease. These findings emphasize the importance of the “milieu” changes induced by an inflammatory process in limiting remyelination. However, first indications are that part of this inflammatory process may have a neuroprotective effect. Pathological studies in multiple sclerosis have now clearly demonstrated that destructive processes may be followed by recovery phases in such a way that myelin may be morphologically and functionally reconstituted. 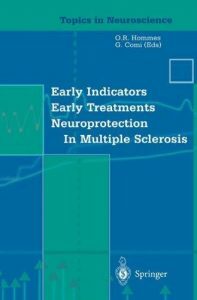 These findings provide the rationale for early treatment and emphasize the importance of clinical trials in early multiple sclerosis. Early treatment is one of the most important aspects in multiple sclerosis today. It is common knowledge that a clinical diagnosis is based on a combination of symptoms and signs, observed in their evolution. 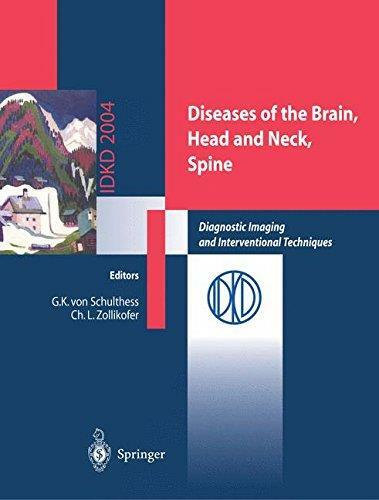 Advancing the diagnosis at an early stage and particularly in the neurosurgical clinical examination would enhance the slightest possibility of recovery, theoretically almost transforming it into a concrete possibility. This book has a precise goal: to examine the “germ” of diagnostic suspicion, which is the true salt of medical art for every physician, general practitioner and specialist alike. In some cases also the characteristics of the late clinical picture are presented: today, though, this must be considered as a medical failure. 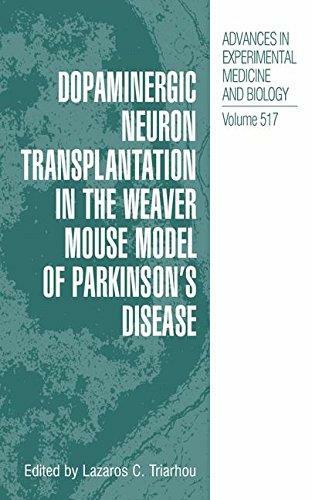 This book is the culmination of fifteen years of research on the transplantation of dopaminergic neurons in the striatum of the weaver mouse (wv/wv), a neurological mutant characterized by genetically-determined degeneration of midbrain dopamine neurons. This mutant constitutes the only available laboratory model with a chronic disorder that mimics Parkinson’s disease. Structural and functional aspects of intrastriatal mesencephalic neuron grafting into the weaver model are reviewed, including histochemical correlates of graft survival and integration, numerical aspects of donor cell survival, ultrastructural findings on synaptogenesis, neurochemical indices of dopamine uptake and receptor binding, gene expression of structural and neurotransmitter-receptor related molecules, levels of striatal amino acid receptors, and behavioural effects of unilateral and bilateral neuronal transplantations. 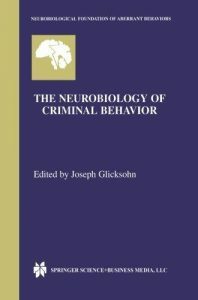 Criminological theory dating back one hundred years has been aware of the need to develop a neurobiology of extroversion, impulsivity, frontal-lobe dysfunction, and aggressive behavior, yet in the twentieth century criminologists have largely forsaken this psychobiological legacy.The Neurobiology of Criminal Behavior looks at this legacy with reference to a variety of neurobiological methodologies currently in vogue. The authors are all distinguished researchers who have contributed considerably to their respective fields of psychiatry, psychology, psychobiology, and neuroscience. 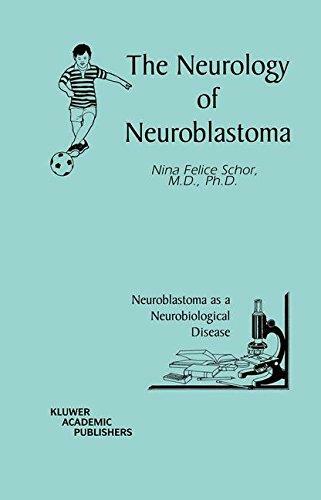 Neuroblastoma is the single most common solid tumor of childhood. Although children with small primary neuroblastomas alone are almost always cured by surgery, 65% of children with neuroblastoma already have large bulky tumors or metastatic disease by the time of initial diagnosis. For these children, the 5-year survival rate is only somewhere between 5% and 20% with therapies including surgery, radiation, chemotherapy, and bone marrow transplantation. Dr Schor outlines a new approach to these tumors in order to make a difference for these children. 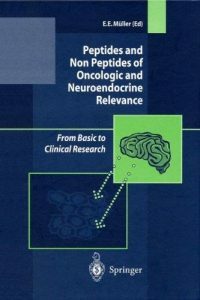 There is much information to support the notion that neuroblastomas represent a developmental aberration of the nervous system, rather than a de novo abnormality in a previously normal cell. While the remote, paraneoplastic effects of neuroblastoma are often the purview of the child neurologist, the neoplasm itself has been viewed and approached therapeutically in much the same manner as all other solid tumors, as the purview of the pediatric oncologist. This work takes the view that approaching neuroblastoma rather as a disorder of nervous system development offers new therapeutic possibilities for this common tumor of childhood. 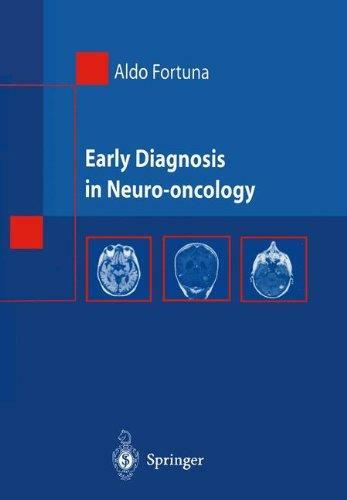 This volume is intended to serve as an aid in the process of differential diagnosis which frequently confronts neuropsychologists. 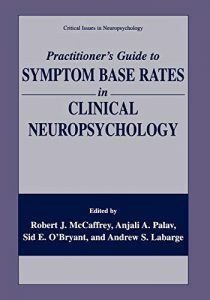 The guide is a compendium of information of the base rates of symptoms across a variety of disorders which neuropsychologists encounter. 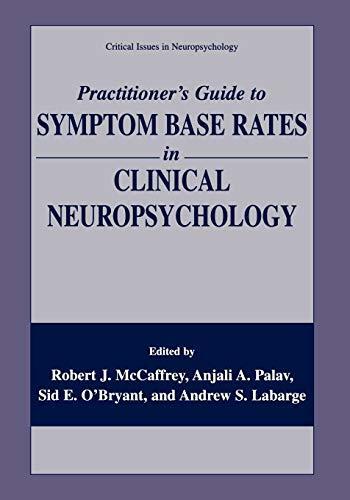 In addition to serving as a convenient source of information on symptom base rates, this volume also contains detailed cross referencing of symptoms across disorders.This book is intended for use by clinical neuropsychologists and psychologists. Dyslexia: Different Brain, Different Behavior is intended for anyone with an interest in how processing deficits of the developing human brain may contribute to failures in reading and spelling. 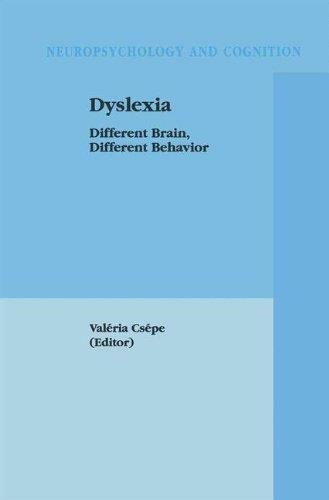 Readers will learn about how different brain activity measures may help to understand the complexity of language specific and domain general functions underlying reading, how atypical brain structures may be responsible for failures in the reading performance, and how the brain activity pattern of dyslexics may change from childhood to adulthood. 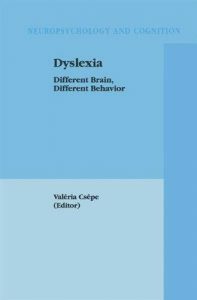 Dyslexia: Different Brain, Different Behavior is a valuable resource for researchers, graduate students, educators and other professionals in the fields of psycholinguistics, speech pathology, neuropsychology, cognitive development, educational psychology, school psychology, developmental psychology, child development and language acquisition.